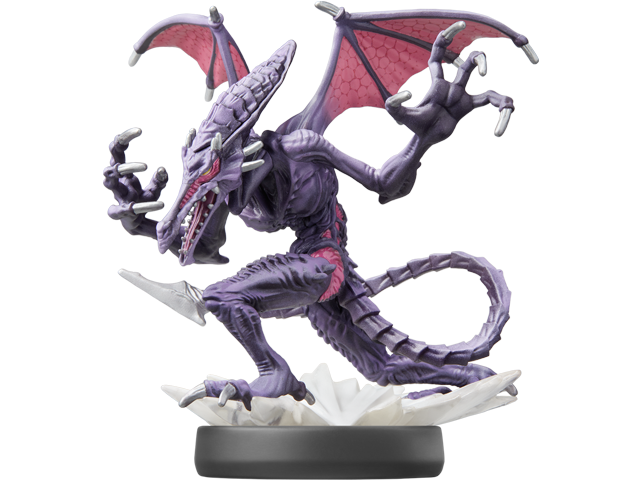 Ridley is the leader of the Space Pirates in the Metroid™ series and Samus’s long-standing rival in battle. He looks like a pterosaur but has high intelligence and a brutal nature. Ridley utilizes wings for a full range of flight and attacks with fireballs from his mouth and whips of his tail. Ridley is compatible with several games. Click here for details.